This essential of French sidewalk cafes, American comfort meals and savory party appetizers is known for its crispy crust and open, moist interior. 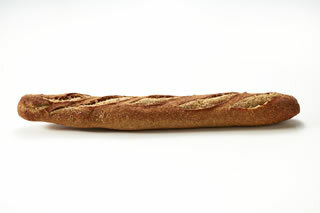 Our baguette utilizes multiple starters to achieve its perfect flavor and texture. After the dough is hand-formed into its iconic silhouette, the loaf rests for its final rise, cradled by a linen couche that protects its shape and controls the rate of rising (Kosher). 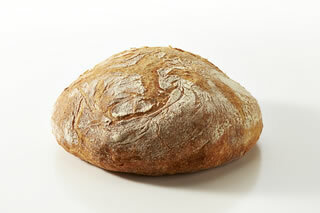 Ciabatta is Italian for slipper, explaining this loaf’s delicate shape. Its thin crispy crust and light, open, airy interior will make it a sure favorite. Excellent for dipping in oil and for crusty sandwiches, too (Kosher)! 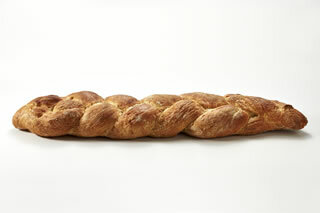 Our Artisan Ciabatta braided into a long loaf for a special look. Long, slow fermentation adds a remarkable flavor to this crispy-crusted, airy bread (Kosher). 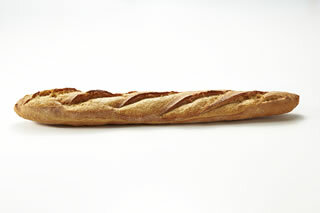 This sourdough baguette gets its golden color and rich flavor from the hard, red berry whole wheat flour we use. Each baguette is lovingly handmade and baked on our stone-hearth French ovens to achieve that rich texture and crispy crust. Use it as sandwich bread, or bruschetta for a delicious summer treat (Kosher). 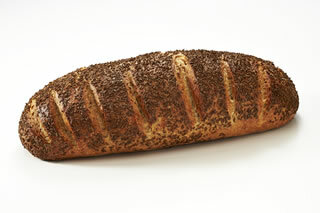 Our three pound rye loaf, covered in caraway seeds, is perfect for any deli sandwich. Rich and flavorful, this bread delivers the unforgettable taste experience of a New York deli, especially with heaps of tender pastrami (Kosher). 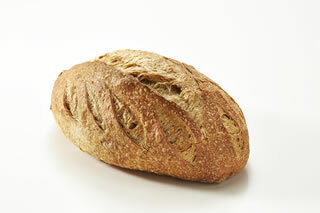 Our Farmer’s Bread is very mild sourdough with the great taste of stone-ground whole wheat flour. The distinctive wheat design cut in the top crust makes this loaf really stand out. It’s an all-around favorite, perfect for sandwiches, with cheeses, or as delicious toast (Kosher). This gorgeous whole-grain loaf is a symphony of textures and flavors. 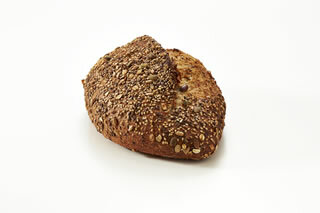 Guaranteed to please anyone looking for natural, healthy, and nutritious foods, this bread includes a wonderful mixture of sesame seeds, sunflower seeds, rolled oats, flax seeds and pumpkin seeds (Kosher). This is what Italian bread was meant to be, with a chewy crust, soft, flavorful interior and excellent structure. 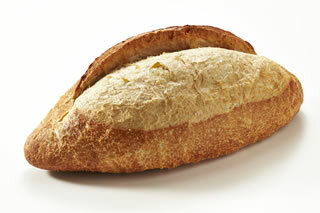 Each loaf is hand-formed by our Artisan bakers. It’s perfect on the table with a favorite Italian meal, or as a sandwich bread (Kosher). Small blisters on the crust distinguish this uniquely flavored and deeply-colored crispy bread. These tiny bubbles are a result of the aging process, which – much like a fine wine – builds flavor over time. Fresh lemon peel and rosemary complement the sourdough bread flavor in a delightfully surprising way. A nice summertime treat (Kosher). 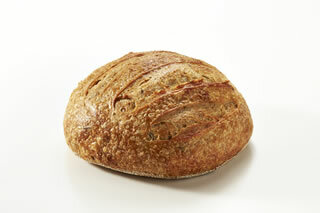 Our hearty yet soft olive loaf is made from a blend of rye, stone ground wheat, and unbleached wheat flours. It is bursting with delicious chunks of Kalamata and green olives. A feast for the eyes and palate, olive bread complements any meal (Kosher). Inspired by the ethnic Italian tables of northern New Jersey, our Paesano bread is baked at high temperature and dusted with durum flour to achieve a dark, crunchy crust. Packed with flavor, this is a nice alternative to traditional Italian bread. Available in Regular or Small (Kosher). 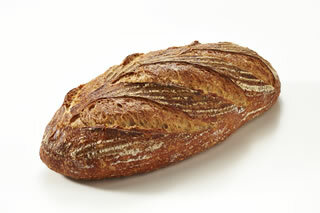 Enjoy this beautiful bread from the German-influenced Alsace region of France. Based on sourdough and rye, this loaf rises in a basket. With a hearty, slightly sour flavor, this bread makes a perfect base for bruschetta (Kosher). 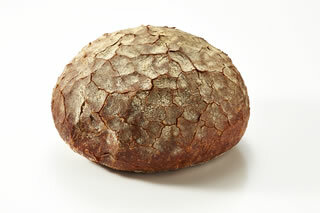 Historically, bread was baked only once or twice a week and had to be large to last. 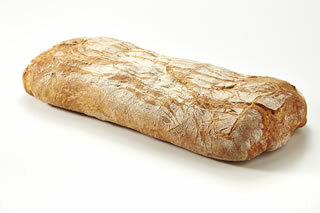 The giant 5.4 pound loaf was inspired by Lionel Polaine’s famous Parisian Country Bread. The dough is mixed and aged, then molded by hand and allowed to rise for 24 hours before baking. Our Artisan process brings out the full flavors of the semolina, rye and wheat flours blended in this gorgeous golden loaf. Available in Large and Small (Kosher). This roughly contoured loaf is baked with a touch of honey to produce its distinctive dark crust. Just like what you would find in a traditional Italian market, this light airy bread is great for absorbing the flavors of olive oil and herbs (Kosher). 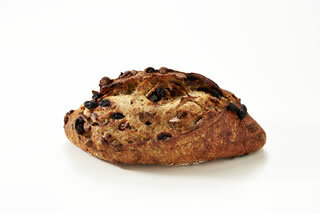 This bread is so full of raisins and pecans, it takes forever to rise, but disappears the moment it is served. 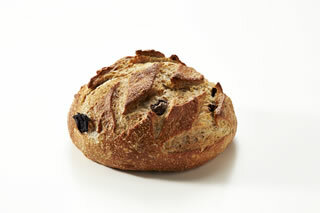 An excellent bread for breakfast or gourmet sandwiches, raisin pecan bread blends the flavors of wheat and rye (Kosher). 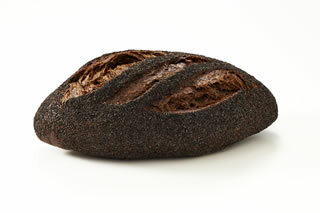 Here’s a dark pumpernickel with a crunch that is perfect for deli meats or smoked fish. Crunchy rye grits, poppy seeds, onions and coffee give this loaf its unmatched flavor and texture (Kosher). 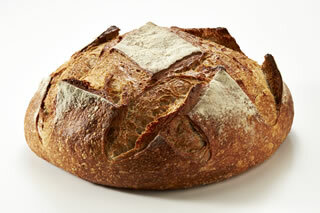 Hand-formed by our Artisan bakers, this bread rises on hand floured linens that leave a pattern on the crust. 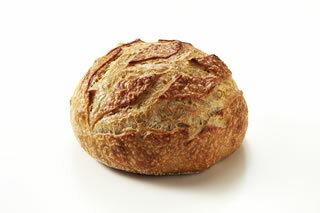 A beautiful old-world style bread, it features a thin crust and a soft, open texture inside (Kosher). 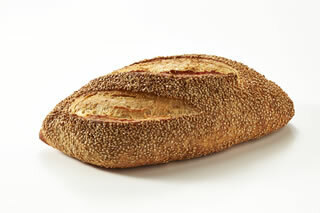 The same hard wheat flours that are used to make pasta are blended to form this classic Sicilian loaf. The sesame seeds, semolina and durum flours produce a wholesome, and nutty flavor in the crust with a soft and slightly sour interior crumb. Serve this golden delight warm with an Italian meal or at room temperature with meats and cheeses (Kosher). 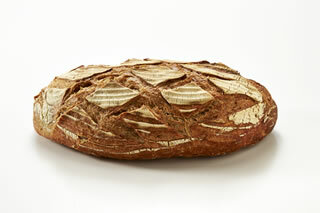 This beautiful San Francisco style sourdough bread is made from our superb 17 year-old starter. The tangy flavor and beautiful criss-cross-cut crust make it a true sensory sensation. Available in Large and Small (Kosher). 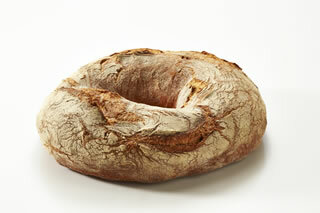 This lovely ring-shaped bread is an old world classic. 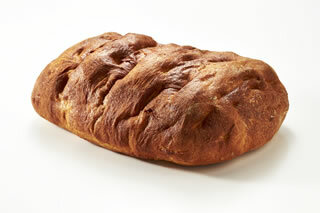 Baked to a dark color and laced with a hint of honey, the dense loaf is full of traditional Italian flavor. Available in Regular and Small (Kosher). 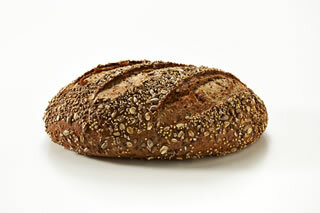 Made with six different whole grains and stone ground whole wheat flour, this molasses-based bread is sure to please those looking to add more whole grains to their diets. A soft, dense loaf, it provides a delicious balance of flavor and healthfulness.